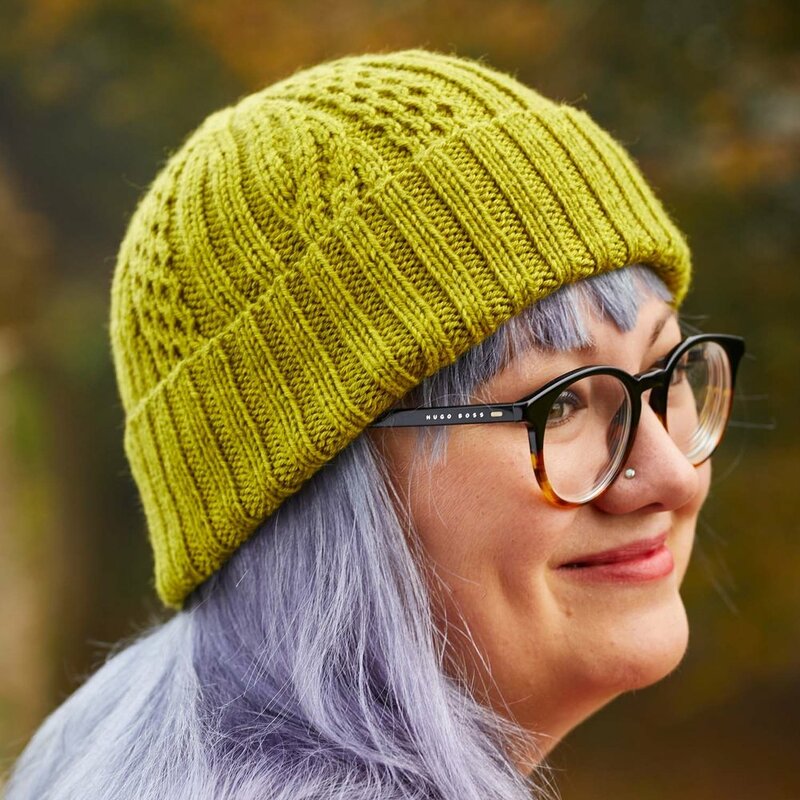 Rachel Coopey's Areto hat is one of the designs in Something New to Learn About Cables, and is the perfect design for newer cablers to practise their skills. Image © Jesse Wild. We thought long and hard about what sort of skill level we would assume that readers, of our Something New to Learn series, were comfortable with. After much deliberation we decided that we would pitch above the beginner level. We aim to take your knitting from the basics, up to a more confident and capable place. So with that in mind, we decided not to include any information on how to work simple cables. Our book is aimed at people who have already worked a cabled project or two (or maybe many more), and my hope is that anyone reading it will pick up something of interest. Indeed, even some very accomplished cablers have picked up the book and spotted tutorials for things they knew were possible, but for which they hadn't previously seen stepwise instructions. This left me a bit torn though, as I always aim to write the books that I would have liked to have read when I was a new knitter, and I'm confident that I would have been OK with Rachel's Areto Hat even as my first cabled project – I was a very adventurous new knitter. And with all of that in mind, I decided that I would do a very basic cabling video. In this way I'm providing a bit of "hand-holding" if you've never tried cables, but it isn't taking up space in what is actually quite a small volume. This tutorial, supporting the Arnall-Culliford Knitwear book, Something New to Learn About Cables, shows you how to work simple cables in your knitting with a cable needle. I hope that if there are a few adventurous new knitters out there, that this video might just give you the extra bit of information you need in order to pick up your needles and try one of the designs in Something New to Learn About Cables. And if you are already a confident cabler, then it's always handy to have a resource to share with friends starting out on their knitting journey!